It could be said that mining and crafting have gotten stale as the bottom of the barrel has been scraped so hard we have broken through it and are now digging up the lawn, but it's easy to forget why it was so attractive to begin with. It's really not all that complicated. First you have the mining drudgery which is not entirely unlike that of actual work. You get your pick and begin slowly chipping away at the world around you, digging up minerals until you have enough to make a bigger pick which you can use to dig up more minerals to make an even bigger pick. Until one day you realize your virtual world is full of holes and broken pick axes. At its most base level, the mining and crafting compliment becomes simple busy work. Where the real draw to the mining-and-crafting simulators is not with the actions of mining, crafting or even the combat. No, much like with the sticky blocks of youth, the real draw is with what you can do when you have a world of blocks and the limitless time of unemployed adulthood. The potential to create and the potential for those things to be less useless versions of their real-life counterparts. And it should be said that Minecraft does this exceptionally well. Perhaps it does it the best. That's not to say that there aren't other mining and crafting games but when it comes to creativity, Minecraft certainly has a leg up in this regard. While other games may have the mining down, when it comes to crafting they will almost certainly come up short. You can certainly craft things as long as those things are what the developer had in mind. But what of those who wish to craft boats and computers within their computers? What of those? Well thankfully those people still have Minecraft to play. The problem is with regards to limitations. Minecraft has its fair share, though it seems to be far more liberal when it comes to enforcing them. Rather, with the myriad incarnations of digging simulators, the goal is typically far more oriented towards building a vast array of laser swords and armor. And really, what's the point of that? If you want to shoot things with guns, there are much better games to get that from. So when a game like Mines of Mars comes about, its value is going to be held against that of other, more notable games of its genre. It's a lot like when Doom was first released, how all first person shooters were referred to as Doom clones by the press. And unfortunately, it's even more damning when your game does little to bring anything new to the genre. Ah! But we're in 2D! You mean like Terraria? Well, yes. But did we also mention that the game takes place on MARS? Ah, so you're going for the bland military shooter demographic whose eyes have atrophied into color blindness from excessive browns and grays. Did we mention that there's even less to craft as well? But there's a jetpack so whatever. 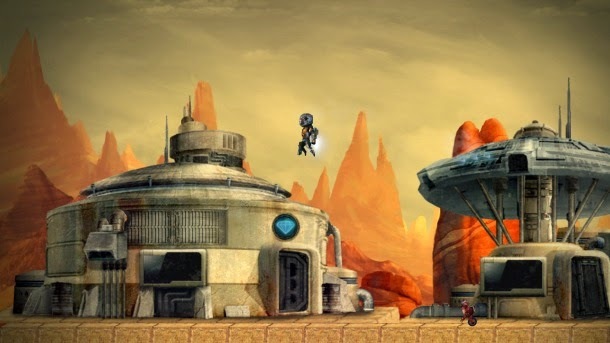 The one place Mines of Mars manages to improve the crafting is by showing you exactly what you need in order to craft new weapons and storage, but that's as much a drawback as it is a benefit. People who play Minecraft arguably look forward to the discovery of new crafting recipes, and outright showing you exactly what you need removes much of the mystery. Of course I wouldn't say that because unlike most people who play crafting games, I prefer to have my time wasted as little as possible. 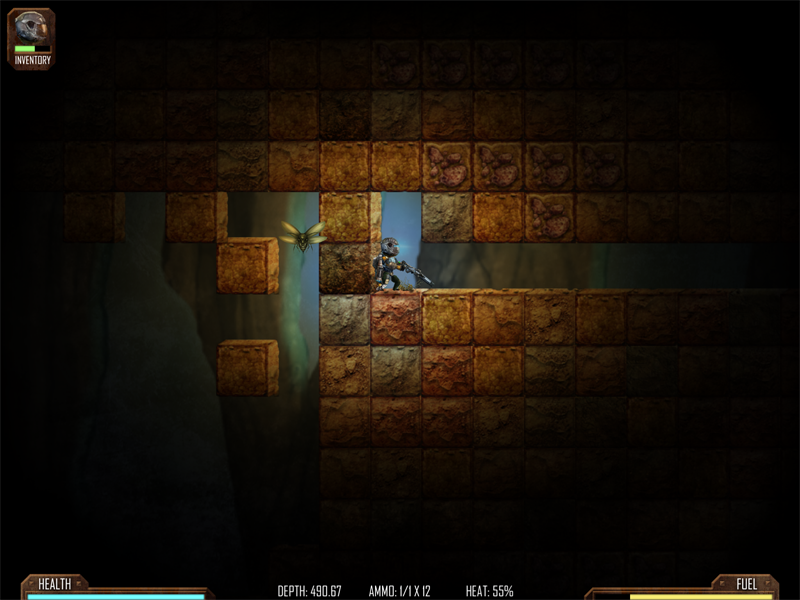 But even in this regard Mines of Mars manages to fail spectacularly. While it isn't necessarily the fault of the designers to actively pursue the mobile platform, perhaps they should have had the foresight to realize when they were padding their game out to unnecessary lengths. Simply put, there's too much empty space. That's not to say there isn't lots to mine, but it's mining without a sense of progression. You feel as though the game is intentionally wasting your time as you spend hours chipping away at the walls to find new, boring underground vistas. There's a surprising lack of material to craft and when you do find it, you're limited to the aforementioned picks and armor which you only upgrade so you can dig deeper to find more minerals to upgrade the same equipment until your fingers snap off from fatigue. It all proceeds at such a slothful pace. Of course, it's clearly intended that way to make the unsuspecting gamer feel as though they've gotten their $5.47 worth of entertainment, but it hardly feels rewarding. Even new upgrades don't feel as helpful as they should be. 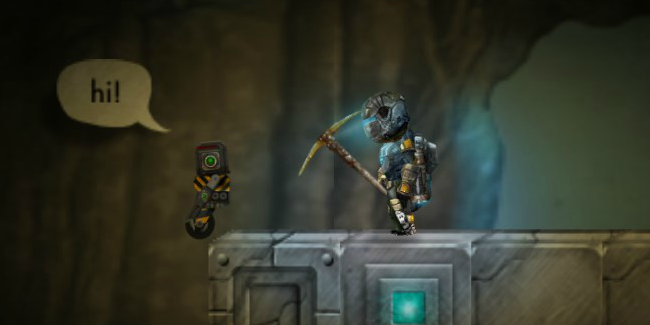 And much like its phone brethren Terraria, Mines of Mars also suffers from control issues. While actually controlling your character is easier thanks to relatively fixed points, there really seems to be quite a lot of input lag, occasionally failing to respond at all. And of course, combat is hardly worth noting. It warrants discussing only for the fact that it exists, but really isn't engaging in the least. However, the most frustrating aspect - surprisingly - is moving between portals. 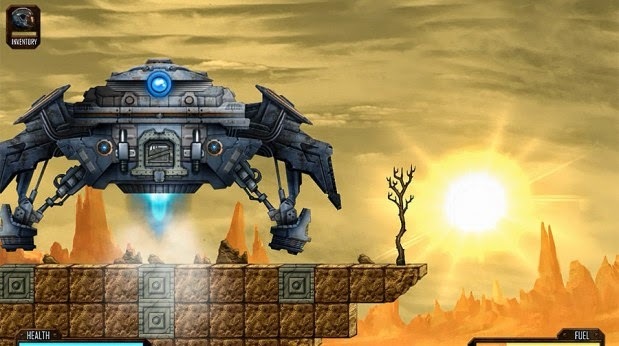 Your character, when traversing from the above ground to underground and vice versa, needs to stand on top of a portal whereby you will touch the screen sending them to a set of predetermined locations. The issue arises when you pass through. You may press your finger to the screen, confident in the knowledge that you have let the requisite amount of time pass only to realize that you have sent yourself back to the surface. And more than once this may happen to you. Perhaps nearly every time you go to drop off minerals. It seems like something that could have very easily been remedied by not having every inch of the touch screen send you back to the surface. Perhaps if there were some sort of button confirming that you didn't want to have your time wasted. But perhaps you are the sort who enjoys having their time wasted. Perhaps then, Mines of Mars is for you.